BUYER BONUS! 14 month HOME WARRANTY PAID FOR AT CLOSING! USE CONTRACTOR OF YOUR CHOICE! Every buyer's dream is to sit in their cabin or on the covered porch and see the lake, the docks and their kids splashing in the water. THIS cabin lets you do that and MORE! 3 bedrooms, 1 bath, living room and kitchen are on the main floor. Family room with wet bar and half bath are in the basement. Lots of storage under the house with access through the basement, plus two newer storage sheds and PLENTY of parking for the crowd that is sure to want to visit you at the lake!This home has three decks and a patio for lots of outdoor entertainment space. And...that's not all!!! 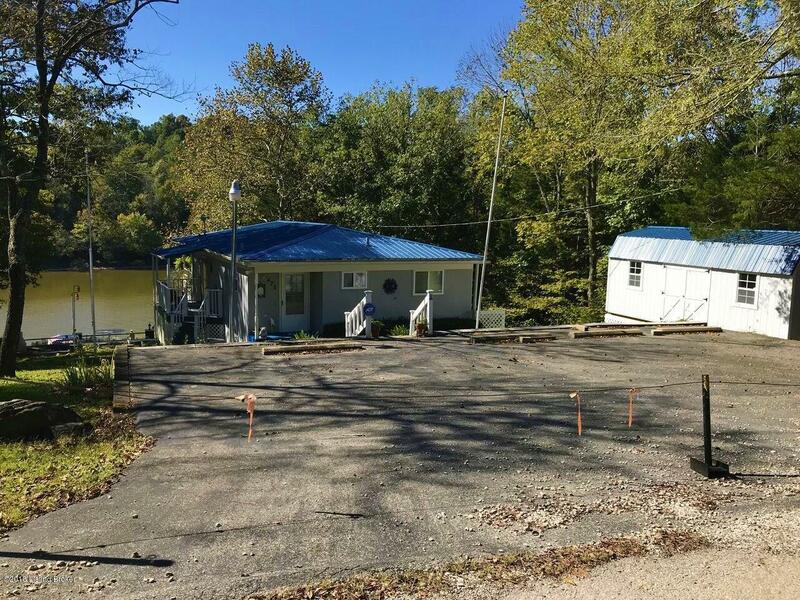 Don't wait - with two lots and TWO DOCKS - this one shouldn't last long! (Docks to transfer with COE approval.The extra lot next door offers you privacy on one side " and the subdivision park area on the right keeps a dense tree line between you and the closest neighbor on the other side. The dock access for neighbors that share your dock string in through that picnic area! This property offers a fabulous walk to the water lot with the dock right behind the home in full view from the home. Happy kids or grandkids have a nice place for yard games and a great spot on the docks for fishing.